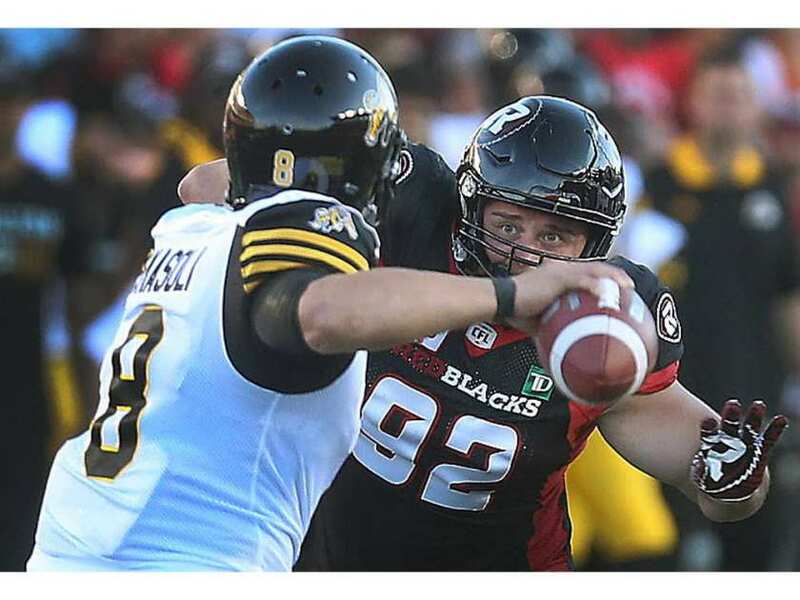 OTTAWA - Ray Early kicked a 37-yard field goal with 68 seconds left to play to give the Ottawa Redblacks a 30-29 win over the Hamilton Tiger-Cats on Thursday. Both teams combined to use seven quarterbacks as they opened the pre-season portion of their CFL season. The Tiger-Cats used Jeremiah Masoli, Everett Golson, Matt Johnson and Cody Keith while the Redblacks countered with Trevor Harris, Drew Tate and Ryan Lindley. Ottawa used all three of its available quarterbacks in the first half and in keeping with the theme of getting everyone involved, 11 different receivers caught passes in the first half alone. Harris started and didn't disappoint completing 12-of-15 passes for 145 yards and a touchdown. The Redblacks opened the scoring on the opening drive of the game as Harris lead his team 87 yards downfield culminating in a 17-yard touchdown pass to Juron Criner at 3:45 of the first quarter.